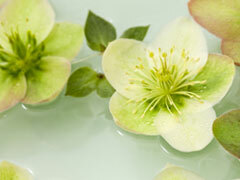 You don't need to be suffering from a chronic imbalance to benefit from Bach Flower Essences. As you know if you use Feel5ive to relieve high stress situations, using Bach Remedies for short-term situations can make your days more pleasant. Not only that, it can help prevent you from falling into a chronic state that you don't desire. For instance, if you yell at your child and feel guilt, that feeling can build until you feel like a horrible parent. Using Pine to relieve the guilt and Impatiens to relieve the impatience that caused the yelling can work effectively to prevent a chronic state from occurring. At the same time, you can use Bach Flower Remedies ahead of time when you know you're going into a situation where you can predict your emotional state. For instance, taking a few drops of Larch before going to a job interview can help you maintain the confidence that will get you the job. 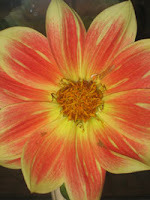 Study the Flower Essences at www.bachflower.org and think about the situations that temporarily derail your life. Then stock up on the ones you need and take them any time you begin to fall into that negative state. Staying in emotional balance will mean a happier life for you and all who love you. Can something as simple as Bach Flower Essences help you get back on track financially? One of the problems people face when they get into the kind of financial bind that our recent economic turmoil causes is that they give up hope. And without hope, the efforts you make are far less effective. If you go on a job interview believing that you won't get the job, you probably won't. But if you go with a feeling of hope and expectation, you probably will. Henry Ford said it a long time ago: "Whether you think you can or you think you can't, you're right." Lack of hope is often seen in people with serious illness, but in today's economy, is even more often seen in people who have been unemployed for months, have lost their homes, or are deep in debt. Since loss of hope is often a combination of imbalances, and since it is so widespread today, Feel Bach has created a formula called Get Hope Back. Whether lack of hope is a chronic condition, or whether it is a reaction to the economic crisis, Get Hope Back will help you re-balance your energies and get back on track. This question comes around every now and then, because some people think there must be a better, faster way to bring about change with Bach Flower Remedies. The truth is, Bach Flower Essences work in harmony with your body - bringing about changes just as fast as they are supposed to. Formulas such as Feel5ive work almost instantly to relieve the stress of the moment. But if you've spent years in a chronic state of doubt about your abilities, it might take a little while for the flower essence Larch to bring you back into balance. You should take 2-4 drops of your flower essence or your formula about 4 times per day. You can take it as drops directly under the tongue, or put it in a glass of water to drink. What you should NOT do is decide to inject flower essences. This will not speed the action, and in fact could be detrimental. Injections are invasive and totally alien to the way Bach Flower Remedies work. One thing you need never worry about with Bach Flower Essences is the possibility of overdose or the possibility of adverse reactions when taking prescription drugs. No such occurrences have ever been reported. Bach Flowers are safe for infants, the elderly, pregnant ladies, those with serious diseases, and of course - your pets. To learn more about Bach Flower Essences, visit us at www.FeelBach.com and read the History of Bach Flowers. Since nature can't seem to decide if it's winter or spring, perhaps treatment with the Bach Flower Remedy Scleranthus would be in order. After freezing nights killed the temperature-sensitive flowers and vegetables in the garden, we got a shift back to warm weather. It's been so nice out that the Lilacs have started to bud out - and that shouldn't happen for another 6 months or so. Winter is yet to come. Scleranthus is the Bach Flower Essence that treats indecision. It's for those who are chronically jumping back and forth, unable to make major decisions in their life as well as small ones. People in this chronic state annoy and upset their friends and family quite often. They'll agree to a course of action one day, only to come back the next and try to get out of going forward with it. Even decisions about which movie to see or where to eat dinner turn into major problems. Scleranthus personalities also have a variety of physical ailments - all opposite to one another. They suffer from hot flashes, then they suffer from not being able to get warm. They may also exhibit the classic symptoms of manic-depression. They're happy and enthusiastic one day, and completely apathetic the next. For some this is a chronic state. But it can also be caused by life events that throw the physical body or emotional state out of balance. Interestingly, once Scleranthus personalities get into balance through the use of Bach Flower Essences, they become confident decision makers and their presence is soothing to others. Visit Flower Bach to learn more about Scleranthus and other Bach Flower Essences.